My favorite animal–the buffalo (bison). 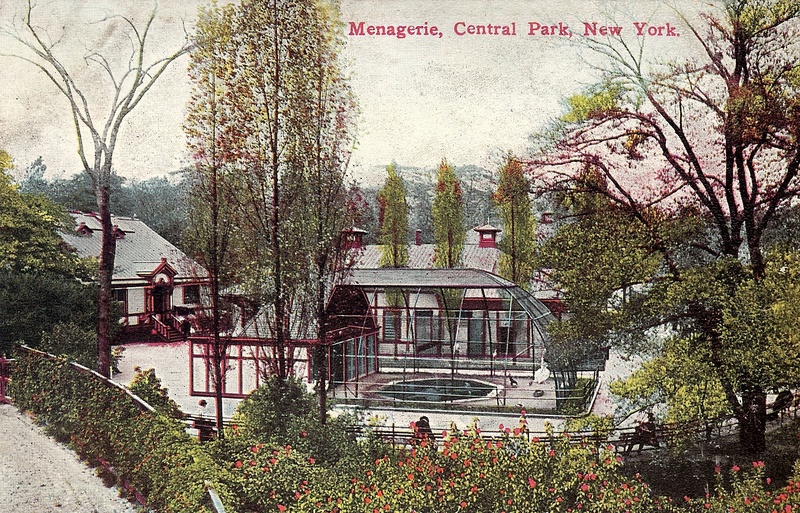 Elephants, monkeys, sea lions, camels, bison—in the early 1900s, the Central Park Menagerie, as it was known, was home to all. 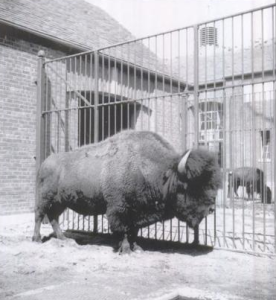 One of the most famous of these creatures was a bull bison given up by Barnum & Bailey Circus named Black Diamond. Black Diamond, born in 1893, was known for being very calm. That may be why artist James Earle Fraser used Black Diamond supposedly used him as his model when he was given the plum assignment of designing the buffalo nickel. There’s some confusion about it, but Fraser himself said Black Diamond, at six feet tall and about 2,000 pounds, was the one. The Buffalo nickel–one of the best looking coins ever. At Camp Pendleton, California, there is a herd of about 150 protected Bison. They pretty much have the run of the base and on more than one occasion have shut down a training cycle. They don’t belong to the Marines, but I think everyone at Pendleton likes to think of them as our unofficial mascot. My battalion was running a training operation in the north and northeastern sectors of the base, which has quite high elevations. In order to establish communications in widely dispersed areas, it was necessary to set up a couple relay stations and these were manned by communicators 24/7. So it was about 2 AM when we received a transmission from one of our relay points. The Marine was whispering into the Mic reminding some of us of “Sneaky Pete” in Vietnam. “Help,” he said … you could hear the strain in his voice. “Send help. I’m bleeping surrounded and man I don’t want to die like this.” Apparently a group of twenty or so bison had wandered around our relay site and in the dense fog of early morning. Our Marine’s first indication of the infiltration was a very loud snort behind his right ear. I’m laughing but the young man was very scared, particularly when he looked up into the face of a very large, very shaggy, no-nonsense looking American Buffalo. Of course, the animal could not have cared less about the relay site or the Marine hunkered down next to a HMMWV. All we could tell the young man was “Don’t spook ‘em. You’ll be okay.” And he was, too. And today he has a story to tell his kids and grandchildren. Love that story! Even coming face-to-face with cows can be intimidating–but buffaloes!!! They are beautiful though.